This organic cotton DUNS dress is pale yellow with a tasty fruit design and a contrasting red trim. This sleeveless dress has a gathered skirt and is perfect for twirling. 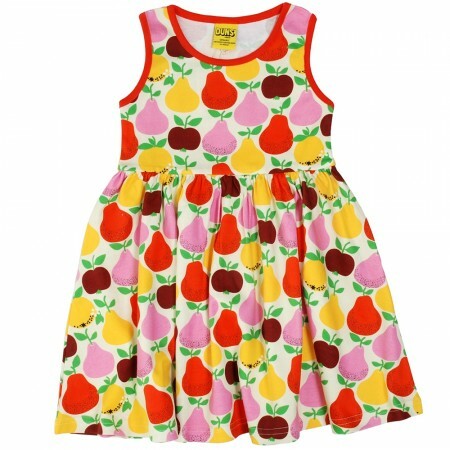 This dress is made with 100% GOTS organic cotton which is gentle on sensitive skin. 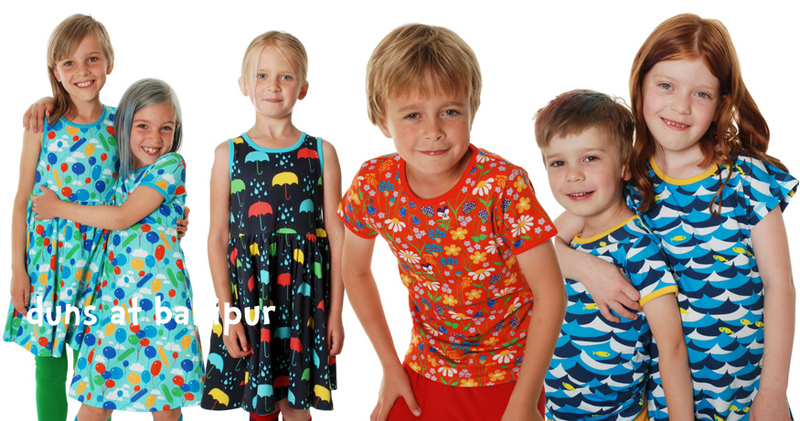 Also available in adult sizes for families who like to match their outfits.